Jack's Gourmet Holiday GIVEAWAY! - Kosher In The Kitch! Jack's Gourmet Holiday GIVEAWAY! - Kosher In The Kitch! Home / Giveaways / Jack’s Gourmet Holiday GIVEAWAY! 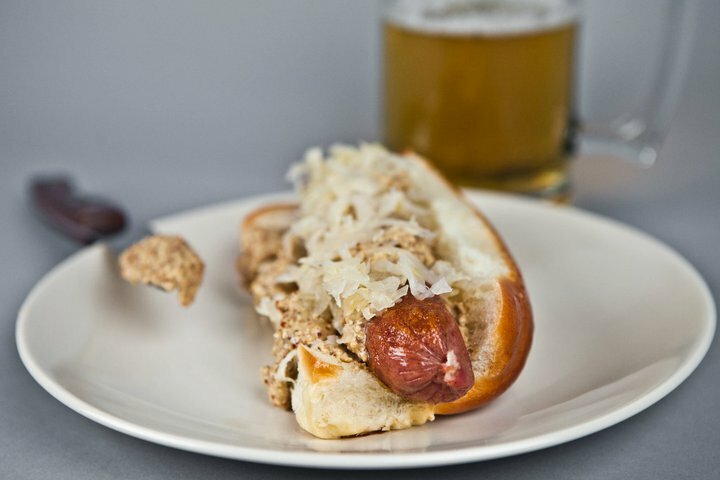 What’s better than a hot and savory sausage wrapped in a bun and slathered with mustard and sourkraut? Other than having it served with a cold beer, when it’s FREE. Jack’s Gourmet is offering one of our readers a FREE gift basket of authentic and delicious meats and sausages just in time for the holidays. How is that for a happy new year? Want a chance to win? It’s easy. Just check out their site HERE and let us know what your favorite product is in the comment section below. Then “like” their fanpage on facebook by clicking this link HERE. 1) Join our tasty facebook page then leave a comment stating you did so. 2) Twitter about the contest, include @thekosherkitch and @JacksGourmet in the tweet, and leave us a hyperlink to the tweet! Please note, you need to leave a separate comment for each thing you do for it to count as a separate entry. This contest ends October 6th, 2011 Midnight EST. Open to US residents only. Jack’s Gourmet is a deli meat and sausage company providing quality products using old world recipes and small batch cooking to provide authentic handcrafted deli meats & sausages to the kosher consumer. They offer a selection of tasty cuts such as Corned Beef and Pastrami as well as a savory selection of delicious sausages such as Sweet Italian Sausage, Hot Italian Sausage, Spicy Mexican Style Chorizo Sausage, German Bratwurst Sausage and South African Boerewors Sausage. To view their product line and purchase their sausages and deli meats go to www.jacksgourmetkosher.com or you can go to your local Kosher supermarket. Stay updated on news and products by joining their facebook fanpage HERE. My family loves the chorrizo sausage. It tastes delicious in chili or on its own. The Spicy Hot Italian Sausages are the best!!! favorites are corned beef, pastrami and boerewors!!! I’m a big fan of their boerewors. I would love to eat Jack’s meaty sausage! 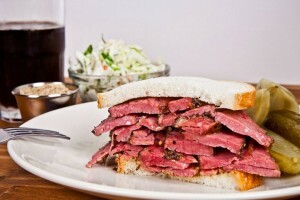 My favorite is the Sliced 1st Cut Pastrami (and the corned beef). I liked your facebook page and I also liked Jack’s facebook page as Rust Hawk. All the thanksgiving recipes list these fancy sausages I was never able to find kosher. Now, thanks to Jacks, I can!! Amazing sausages. Thank you so much!! Just tried Jack’s cured Bratwurst for the first time last night with braised red cabbage and egg noodles. It was amazing. Will buy them again. 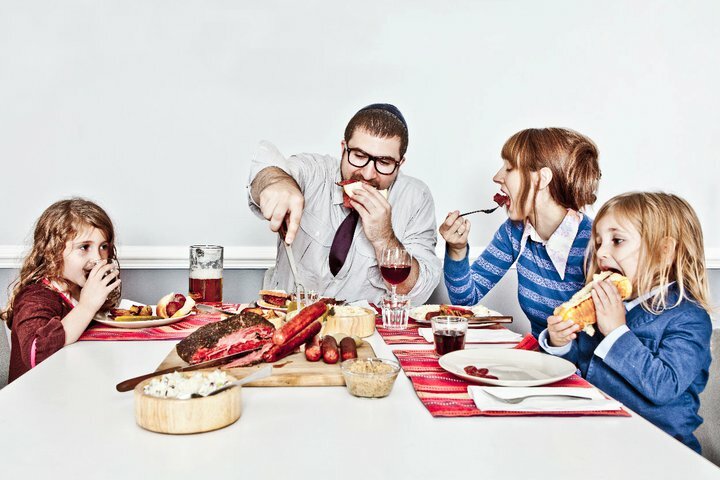 Liked both pages… from what everyone’s saying about the pastrami I’d love to have my husband taste it! :-) and those sausages look awesome for some new yom tov recipes with all the meals comin up soon!!! I’ve never tried these sausages but they look amazing. 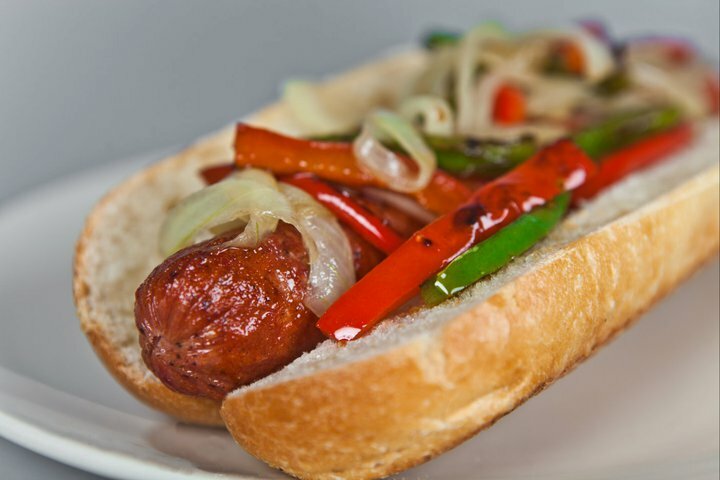 I make many things with hot dogs and the sausage is a great was to get more flavor without much extra effort. My hotdog /potato paprikash will never be the same. Thanks! I live in Ocean, NJ and shop in Shop Rite and have never seen his products, but from the reviews it sounds amazingly delicious. Would love to try his products I have liked the pages. Ever since I started making these my husband won’t let me make any other hotdogs for dinner any more. I like Jack’s first cut pastrami. Yum!! I like your facebook page and Jack’s Gourmet. OMG, there is nothing like a Boerewors in a toasted bun with fried onions and 1st cut corn beef and 1st cut pastrami all marinated in barbque sauce. Then topped with cole slaw! yum, thats my sunday dinner!! love the first cut pastrami! My favorite is Jack’s Gourmet Sweet Italian Sausage, cooked by my husband, Kevin, on the grill. I’m a member of your FB page and love your posts. I also “like”-d Jack’s Gourmet on FB. 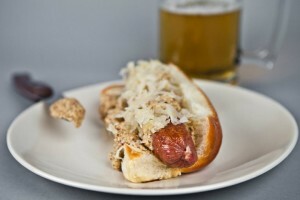 The German Bratwurst in the BEST!!! Wow! I am not even familiar with these fantastic sounding sausages! I would really like to try some of the hot Italian sausages and serve them with some caramelized onions and Sautéed sweet peppers and maybe some pasta on the side. This would be a great way to try them out! I’m a huge fan of chorizo. Looking over the website, I think my favorite product would be the sausage variety pack, so I can try them all! I have also liked Jack’s Gourmet on Facebook. Thank you for bringing them to my notice.